Home is a place where a lot of things happen for families. When you step inside your own home, what do you find? Is it a place you love to be and feel happy about? Maybe there are a couple things that are lacking within your home. Is there a tub that need regrouting, a kitchen that needs revamping? What about the chaos within your closets? Is it well organized like you would want it? Your home might not be like the dream homes you pin on Pinterest. There might be a few things you wish you had, but don’t quite have the things to remodel or the ability to relocate. There are several ways you can embrace your home. 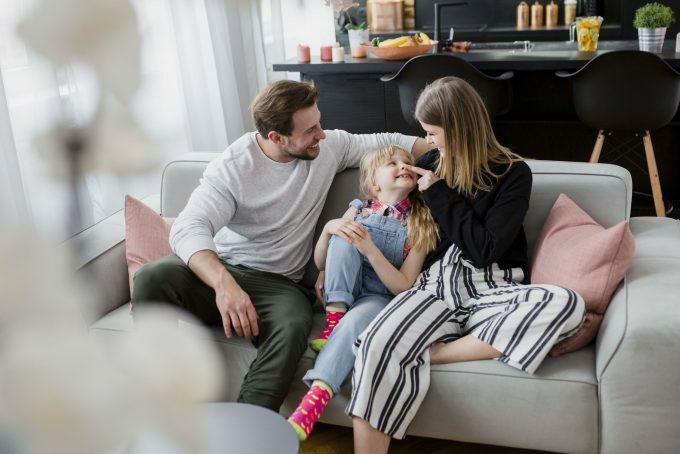 Check out these 4 ways you can love the home you are in. Tidy up the entrance of your home. It is the first impression when you return home and the last impression when you leave. A messy entryway can change the mood when you come into your home by making you feel anxious while a clean entryway can make you feel more relaxed. Cleaning up the enter way can take less time than you would think. Clear the clutter. Decorate it a way that makes you feel warm when you come home. Inviting your friend over can help you achieve a greater at-home satisfaction. You bring people over that you enjoy their company and share a place you love. Entertaining at home and don’t worry about what the guests will think of your messy room or the clutter there might be. Your friends won’t care—I promise! Your friends likely have the same situation going on in their own home. Enjoy the time with your friends and have a good time. There is just something that a bouquet of flowers that bring into a room and can make you smile. You don’t need to get flowers for a special occasion, treating yourself to buying some can just brighten your day. If you don’t want to get a bouquet, consider getting a flowering plant like a kalanchoe or a phalaenopsis orchid. Perhaps some other green indoor plants are your thing. Some green plants you can get are aloe, ficus plant, english ivy, or jade plant. A remember space is a place where you can have a place within your home dedicated to a special person or several persons. It can be a place where you gather mementos that remind you have a loved one or special memory. There can be more than one special person you are honoring or memories from different special occasions. You can have your remembering space on a bookshelf or top of a dresser. Try using photos or special trinkets that remind you have that person or memory. Whenever you look at them you can remember that special person or moment. It also brings some more love into your own home. What are some ways or things you have done to love the home your currently live in? Share below with us in the comments!